Blog/ Technology/ Google analytics spam; What is it? Google analytics spam; What is it? We have all heard of SPAM (the word SPAM actually stands for nothing. It’s not an abbreviation of anything). But we all associate it only to the emails that we receive. Some call it Junk Mail or Bulk Mail. Simply put, anything that we never requested and still get in our emails can be considered as spam. 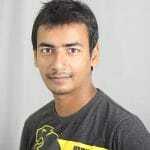 Saqueib is a senior web developer at Conceptualize and is passionate about new age tech for web development. He usually writes about tech and programming for the web and mobile. But this article is not about SPAM in our emails, it’s about the SPAM that we receive in our Google Analytics account. Now, at this moment – if you do not have Google Analytics on your website or any sort of tracking software that monitors your website’s traffic – then add it immediately. We cannot stress enough on the fact of how important and essential it is to have a traffic analytics system in place to monitor your website. The implications of not having one in place means you are simply running a business without tracking how much money you make. All of this, and much more is what we call Analytic SPAM. It’s the traffic you never requested but still get. This skews your analytics reports causing your numbers to be reported wrongly. Sometimes, the spam is very insignificant and may not affect your website’s reports but when you are running a website that needs reports with very specific targeted information, this can certainly be a pain. The most common one is the hostname spam. Your analytics data gets flooded with page views and visits that look like it was for your website, however it’s all a bot that injects a new domain name into your reports. Usually, curiosity gets users to visit that domain name that may lead to a whole lot of malware or junk cookies being set to your computer. Then there is the crawler spam. Reports will show that a search engine, that is not a real search engine but just a masked website, has been indexing your website. There is also the most recent one – the language spam. Google Analytics by default shows you the default languages of visitor’s browsers on the main audience overview section. Spamming this section means even without clicking on anything in the analytics software, you may end up seeing a weird message. The most common one noticed around the globe was during the 2016 presidential elections of the United States of America. Does this spam harm my website? Does receiving spam emails harm your email? No – but it crowds up your mailbox occupying space until deleted. The intention of spammers is to gain some sort of data out of this – so as an advice, never visit any of the domains cropping up in your spam or install any script that instructs you to deal with that domain. Sometimes ghost spam leaves weird pages on Google Analytics, and people think that the website was hacked in some way, causing panic and a lot of waste of productive time. Does spam in Google Analytics affect my SEO? The answer is NO …atleast not directly. If we consider that the spam corrupts your data and may cloud your decisions then it can affect in some part your SEO. However, if we talk about the data left by the spammer, like the bounce rate or the Avg. Session time then you shouldn’t worry about it, Google has officially stated that they don’t use Google Analytics data as a ranking factor in any way. So, what’s the point of all of this? In the connected world that we are, data is everything. This data should ideally be the driving factor that forms the basis of your decisions. If you are a small business operating a corporate website or a large portal that attracts thousands of visitor’s each day, it is important to keep your data clean and usable. Spam does not help anyone. At this point, people usually ask – why doesn’t Google do something about it. Honestly, they are. The problem is that every time Google implements a measure, the spammers find other ways to get through. Unfortunately that is the reality – it’s a reactive implementation. Finally, the security implications of having such spam crop up in your data can be significant and hence it is always best to implement measures to prevent it. At Conceptualize, we are a team of web experts that always recommend adding in the right filters to your Google Analytics reports to prevent spam.